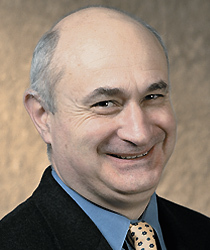 Dr. diMarzo's expertise covers several areas of fire, heat transfer, multi-phase flow, and nuclear safety. He has had extensive collaboration with the Building and Fire Research Laboratory of the U.S. National Institutes of Standards and Technology, and is consulting for the U.S. Nuclear Regulatory Commission. Dr. di Marzo works with undergraduates and graduated students on their design and research projects. di Marzo, M., A.W. Marshall, “Modeling Aspects of Sprinkler Spray Dynamics in Fire,” Transactions of the Institution of Chemical Engineers, Part B, Vol. 82, pp. 97-104, 2004. Ruffino, P., M. di Marzo, “The Simulation of Fire Sprinklers Thermal Response in Presence of Water Droplets,” Fire Safety Journal, Vol. 39, pp. 721-736, 2004. Ruffino, P., M. di Marzo, “Temperature And Volumetric Fraction Measurements In A Hot Gas Laden With Water Droplets,” Journal of Heat Transfer, Vol. 125, pp. 356-364, 2003. Ruffino, P., M. di Marzo, “The Effect of Evaporative Cooling on the Activation Time of Fire Sprinklers, Fire Safety Science, D.D. Evans ed., pp. 481-492, 2003. Quintiere, J.G., M di Marzo, R. Becker, “A Suggested Cause of Fire-Induced Collapse of the World Trade Towers,” Fire Safety Journal, Vol. 37, pp. 707-716, 2002.
di Marzo, M., “A Simplified Model of the BWR Depressurization Transient,” Nuclear Engineering and Design, Vol. 205, pp. 107-114, 2001. Guam, Y., M. Modarres, M. di Marzo, and D. Bessette, “A Method of Integrated Behavior Logic Modeling with Thermal Hydraulic—Probabilistic Assessment Screening and its Application to Identifying AP600 Accidental Scenarios,” Nuclear Technology, Vol. 133, No. 3, pp. 269-289, 2001. Balakumar Balachandran, James Milke picked to lead mechanical engineering, fire protection engineering.